This 2018 1 oz Australian Platinum Kangaroo Perth Mint Coin is a new release in the Australian Bullion Coin Program. Issued as Australian legal tender, this beautiful coin is stuck from .9995 pure platinum and issued as legal tender under the Australian Currency Act of 1965. In 2017 for the first time - a platinum version of the Kangaroo joins this series alongside the gold and silver versions. These coins were the first Australian bullion with the annually changing reverse design. Initially, for the first three years, the coins sported different nugget designs that were found in Australia and the series was named the Australian Nugget series. In 1990, the mint decided to use the national symbol of Australia - the Kangaroo. For this reason, the name of the series changed to Australian Kangaroo. The coin’s reverse features a bounding red kangaroo surrounded by rays of sunlight. The obverse features the effigy of Queen Elizabeth II, created by Ian Rank-Broadley. 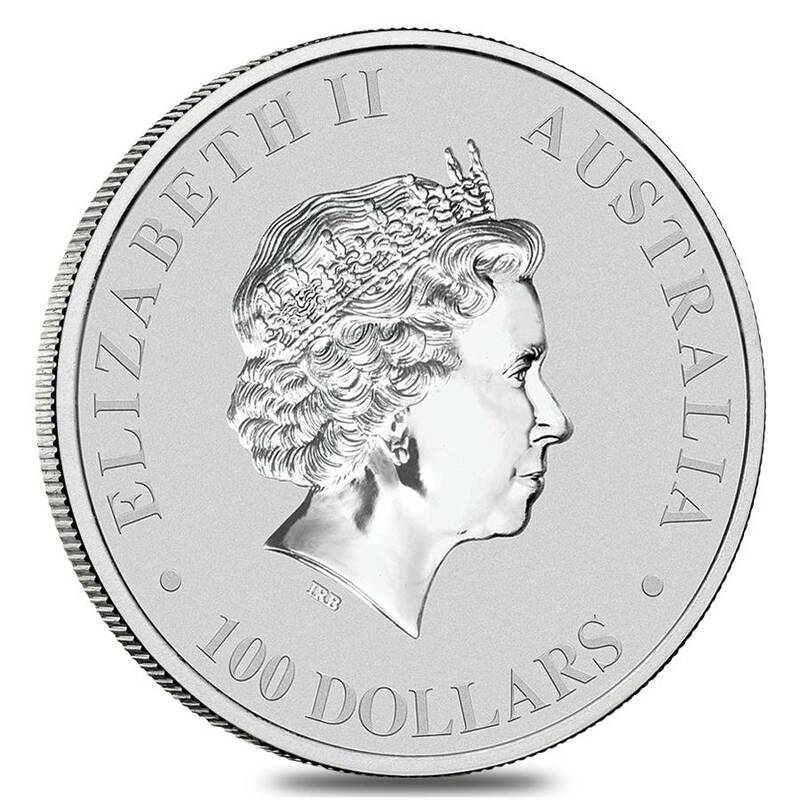 Each coin design also incorporates the inscription AUSTRALIAN KANGAROO, the 2018 year-date, and The Perth Mint’s traditional ‘P’ mintmark. Made from .9995 fine platinum with a weight of 1 troy ounce. Struck by the Perth Mint. 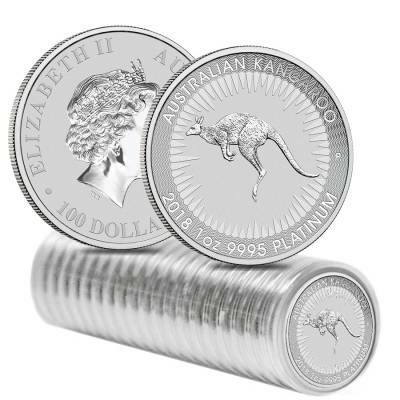 First platinum coin in Perth Mint Kangaroo series. Individual coins come in a plastic capsule. Lot of 20 come in shrink-wrapped plastic and lots of 100 come in a mint-issued box. Face value is $100 AUD. Reverse: Features red kangaroo bounding across a stylised rural landscape. 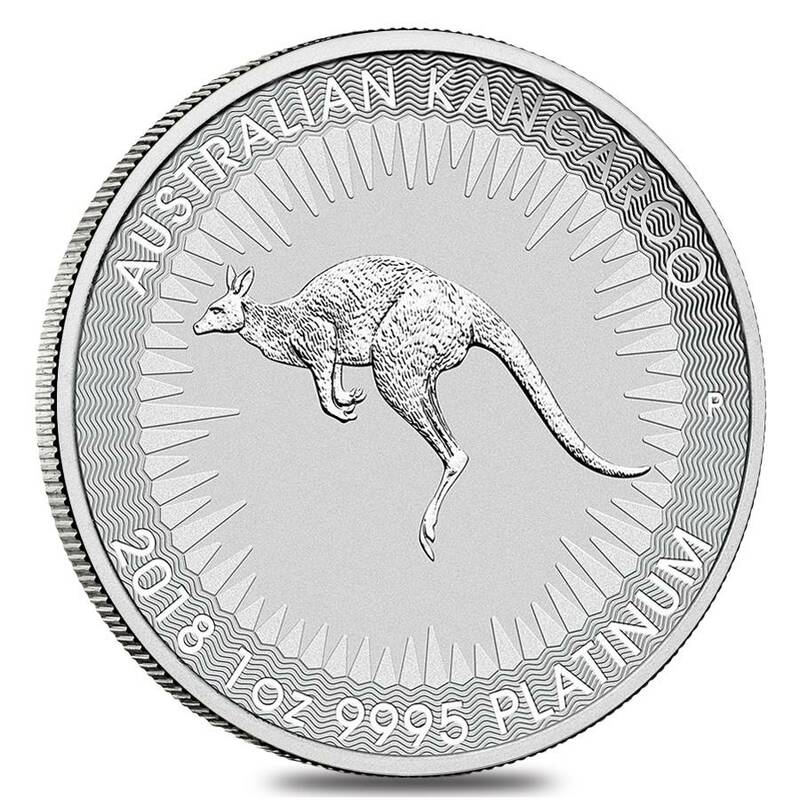 Inscriptions: “2018”, “Australian Kangaroo”, “.9995 Platinum”, “1 oz”. Bullion Exchanges offers you a great selection of exclusive items from renowned international refineries. 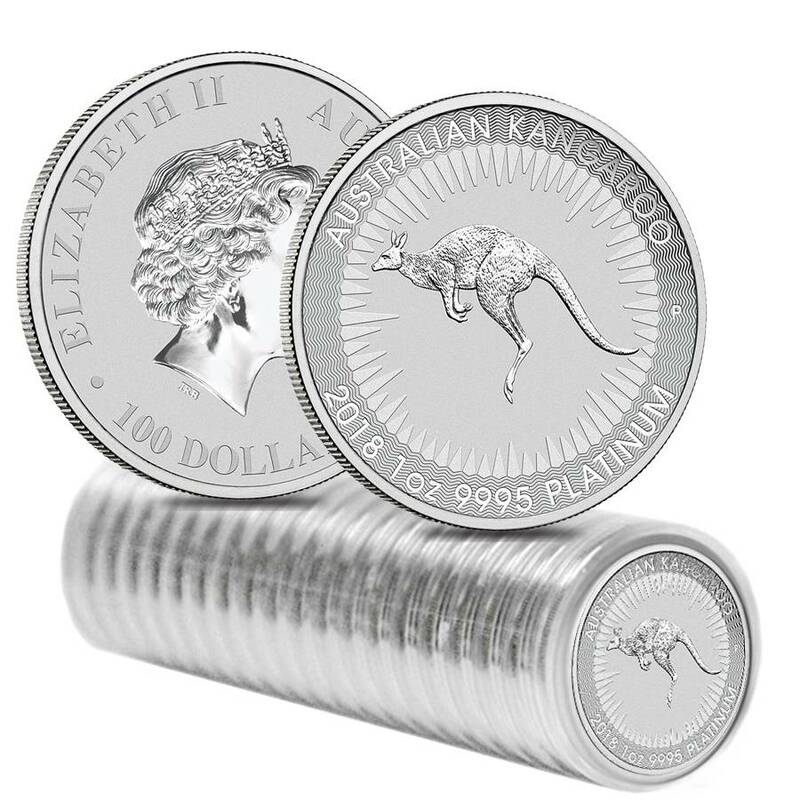 Add this exceptional 2018 1 oz Australian Platinum Kangaroo Perth Mint Coin to your collection today, and it will be carefully wrapped, packaged, and delivered to your address. If you have any questions, just call us at 800.852.6884, or send us a message, our customer service representatives will be happy to assist you. I had a few questions and got a quick respond from their customer service. Easy transaction! Will buy from again. Repeat customer at Bullion Exchanges! Never had any issues with these guys! Thank you! If I can afford another oz of plat, I'll be getting a second some time in 2018. I'm glad I got in during thi latest dip! Can't wait for this coin to be released on the 3rd. Was excited to see that I could pre-order it here. Great release of 2017. Fantastic design and quality. With this purchase, you earn 963 Bullionaire Bucks 963 BB = $0.96. For every $1 spend, you will earn 1 Bullionaire Buck which is equivalent to $0.001 off a future purchase. 963 BB = $0.96.